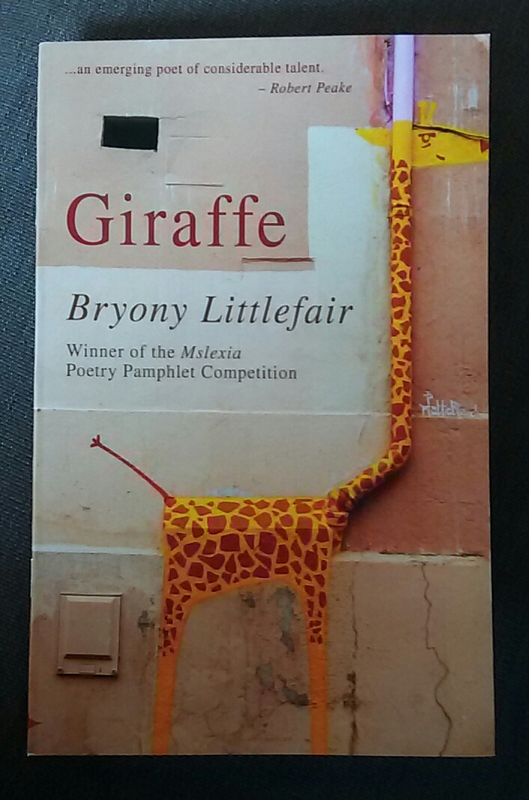 Giraffe is Bryony Littlefair’s fantastic debut collection. Published by Seren Books, it won the Mslexia Poetry Pamphlet Competition in 2017 and it’s easy to see why. Through 19 poems, Bryony skillfully presents everyday life – from ‘Tara Miller’, the bad girl at school who leaves an impression to the lesson of healing in the title poem, where happiness when it comes “will be long-legged, sun-dappled: a giraffe.” We’re pulled into each scene, but it’s the insightful nuances that make these poems shine. where the light is piss-yellow and everyone is angry. washed up in the hallway, wondering at her life. It’s an absorbing collection – a series of expertly rendered snapshots in which Bryony punctuates conversational tone with poignancy. I’ll end with one of my favourites, for just this reason. they are okay with them. The streets sing hymns here. The buildings talk quietly amongst themselves. of your relentless need to run roads. one you might have loved in a previous life. Undrunk vodka. Sky cool in my throat. Like an empty suitcase, my heart flies open.